Eyewear by the brand POLO RALPH LAUREN, for Prescription glasses for Women, with reference M0010232, with a(n) Formal, Modern and Female style.These Polo Ralph Lauren 2130 5517 54 16 have a(n) Full Rim frame made of Acetate / plastic with a(n) Cat Eye shape in Black and Purple colours. Their size is 54mm and their bridge width is 16mm, with a total frame width of 70mm. These glasses are suitable for prescription lenses. These are top of the range glasses from the brand POLO RALPH LAUREN, made of high-quality materials, modern eyewear that will give you a look that matches your image. Buy Polo Ralph Lauren 2130 5517 54 16 eyewear in an easy and safe way at the best price in our online store. 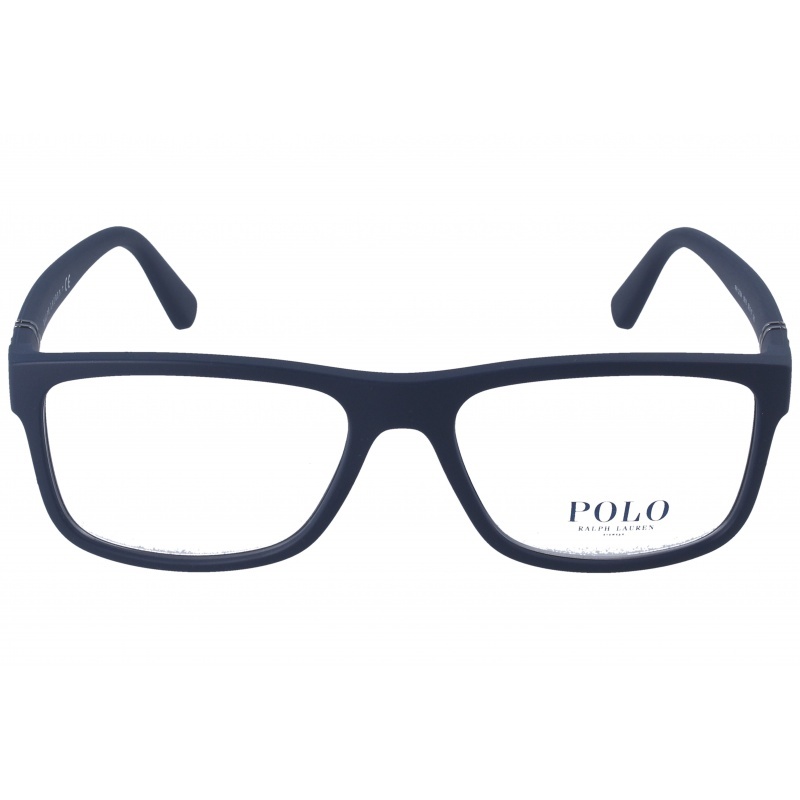 Eyewear by the brand POLO RALPH LAUREN, for Eyeglasses for men, with reference M0013886, with a(n) Formal and Modern style.These Polo Ralph Lauren 2162 5605 56 17 have a(n) Full Rim frame made of Acetate / plastic with a(n) Squared shape in Blue colour. Their size is 56mm and their bridge width is 17mm, with a total frame width of 73mm. These glasses are suitable for prescription lenses. These are top of the range glasses from the brand POLO RALPH LAUREN, made of high-quality materials, modern eyewear that will give you a look that matches your image. Buy Polo Ralph Lauren 2162 5605 56 17 eyewear in an easy and safe way at the best price in our online store. string(142) "Buy Polo Ralph Lauren 2162 5605 56 17 eyeglasses. Modern and elegant model. Original product with fast shipping, quality guarantee and refund." string(33) "Polo Ralph Lauren 2162 5605 56 17"
string(25) "POLO RALPH LAUREN ENG.pdf"
string(21) "POLO RALPH LAUREN ENG"
string(137) "Freshness, style and retro vibes; that is what Polo Ralph Lauren offers to a wide audience who looks for something current and different." string(25) "POLO RALPH LAUREN ESP.pdf"
string(21) "POLO RALPH LAUREN ESP"
Eyewear by the brand POLO RALPH LAUREN, for Eyeglasses for men, with reference M0013353, with a(n) Formal style.These Polo Ralph Lauren 1181 9301 56 18 have a(n) Semi Rimless frame made of Metal with a(n) Square shape in Havana and Brown colours. Their size is 56mm and their bridge width is 18mm, with a total frame width of 74mm. These glasses are suitable for prescription lenses. These are top of the range glasses from the brand POLO RALPH LAUREN, made of high-quality materials, modern eyewear that will give you a look that matches your image. 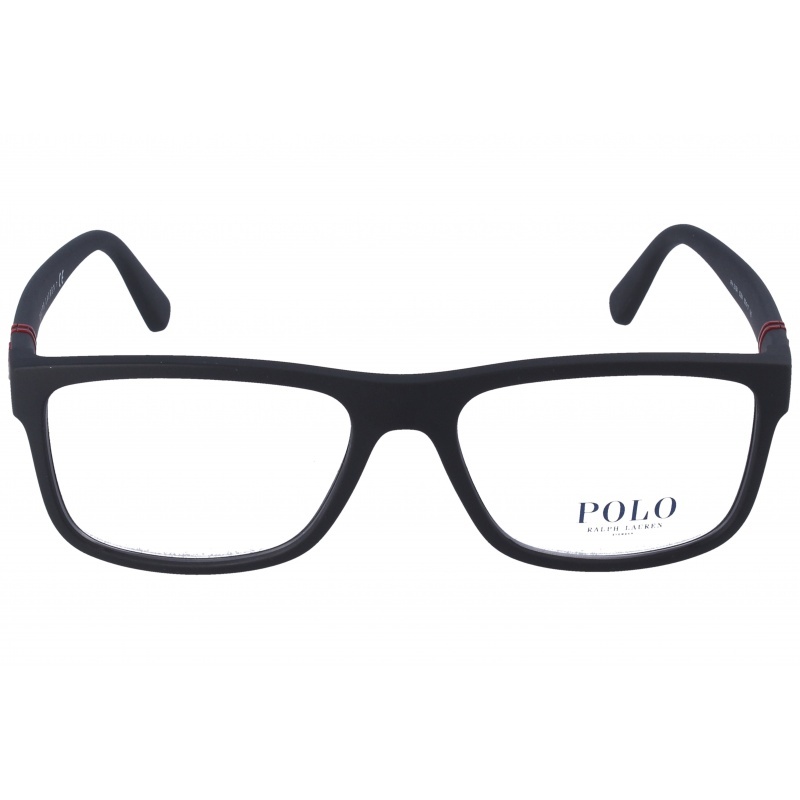 Buy Polo Ralph Lauren 1181 9301 56 18 eyewear in an easy and safe way at the best price in our online store. string(142) "Buy Polo Ralph Lauren 1181 9301 56 18 eyeglasses. Modern and elegant model. Original product with fast shipping, quality guarantee and refund." string(33) "Polo Ralph Lauren 1181 9301 56 18"
string(142) "Buy Polo Ralph Lauren 2178 5644 55 16 eyeglasses. Modern and elegant model. Original product with fast shipping, quality guarantee and refund." string(33) "Polo Ralph Lauren 2178 5644 55 16"
Eyewear by the brand POLO RALPH LAUREN, for Eyeglasses for men, with reference M0013279, with a(n) Formal and Modern style.These Polo Ralph Lauren 2140 5563 54 18 have a(n) Full Rim frame made of Acetate / plastic with a(n) Square shape in Blue and Navy Blue colours. Their size is 54mm and their bridge width is 18mm, with a total frame width of 72mm. These glasses are suitable for prescription lenses. These are top of the range glasses from the brand POLO RALPH LAUREN, made of high-quality materials, modern eyewear that will give you a look that matches your image. Buy Polo Ralph Lauren 2140 5563 54 18 eyewear in an easy and safe way at the best price in our online store. string(142) "Buy Polo Ralph Lauren 2140 5563 54 18 eyeglasses. Modern and elegant model. Original product with fast shipping, quality guarantee and refund." string(33) "Polo Ralph Lauren 2140 5563 54 18"
Sunglasses by the brand POLO RALPH LAUREN for Sunglasses for men, with reference S0009909, with a(n) Formal and Modern style.Polo Ralph Lauren 4133 56186G 59 17 they have a(n) Full Rim frame made of Acetate / plastic with a(n) Square shape in Black and Blue colours. Their size is 56mm and their bridge width is 16mm, with a total frame width of 72mm. They have Organic, Silver, MirrorUniform lenses. These glasses are suitable for prescription lenses. These are top of the range glasses from the brand POLO RALPH LAUREN, made of high-quality materials, modern glasses that will give you a look that matches your image. Buy Polo Ralph Lauren 4133 56186G 59 17 sunglasses in an easy and safe way at the best price in our online store. string(144) "Buy Polo Ralph Lauren 4133 56186G 59 17 sunglasses. Modern and elegant model. Original product with fast shipping, quality guarantee and refund." string(35) "Polo Ralph Lauren 4133 56186G 59 17"
Sunglasses by the brand POLO RALPH LAUREN for Sunglasses for men, with reference S0009908, with a(n) Formal and Modern style.Polo Ralph Lauren 4133 528481 59 17 they have a(n) Full Rim frame made of Acetate / plastic with a(n) Square shape in Black colour. Their size is 56mm and their bridge width is 16mm, with a total frame width of 72mm. They have Organic, Gray, PolarizedUniform lenses. These glasses are suitable for prescription lenses. These are top of the range glasses from the brand POLO RALPH LAUREN, made of high-quality materials, modern glasses that will give you a look that matches your image. 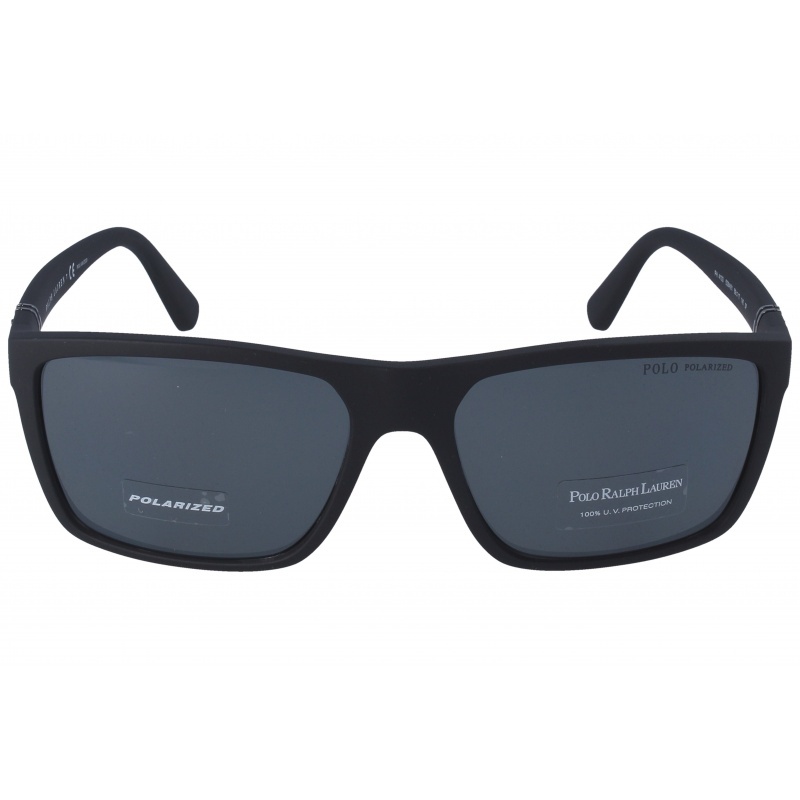 Buy Polo Ralph Lauren 4133 528481 59 17 sunglasses in an easy and safe way at the best price in our online store. string(144) "Buy Polo Ralph Lauren 4133 528481 59 17 sunglasses. Modern and elegant model. Original product with fast shipping, quality guarantee and refund." string(35) "Polo Ralph Lauren 4133 528481 59 17"
Eyewear by the brand POLO RALPH LAUREN, for Eyeglasses for men, with reference M0013249, with a(n) Formal and Modern style.These Polo Ralph Lauren 2184 5618 55 17 have a(n) Full Rim frame made of Acetate / plastic with a(n) Square shape in Blue colour. Their size is 55mm and their bridge width is 17mm, with a total frame width of 72mm. These glasses are suitable for prescription lenses. These are top of the range glasses from the brand POLO RALPH LAUREN, made of high-quality materials, modern eyewear that will give you a look that matches your image. Buy Polo Ralph Lauren 2184 5618 55 17 eyewear in an easy and safe way at the best price in our online store. string(142) "Buy Polo Ralph Lauren 2184 5618 55 17 eyeglasses. Modern and elegant model. Original product with fast shipping, quality guarantee and refund." string(33) "Polo Ralph Lauren 2184 5618 55 17"
Eyewear by the brand POLO RALPH LAUREN, for Eyeglasses for men, with reference M0013248, with a(n) Formal and Modern style.These Polo Ralph Lauren 2184 5284 55 17 have a(n) Full Rim frame made of Acetate / plastic with a(n) Square shape in Black colour. Their size is 55mm and their bridge width is 17mm, with a total frame width of 72mm. These glasses are suitable for prescription lenses. These are top of the range glasses from the brand POLO RALPH LAUREN, made of high-quality materials, modern eyewear that will give you a look that matches your image. Buy Polo Ralph Lauren 2184 5284 55 17 eyewear in an easy and safe way at the best price in our online store. string(142) "Buy Polo Ralph Lauren 2184 5284 55 17 eyeglasses. Modern and elegant model. Original product with fast shipping, quality guarantee and refund." string(33) "Polo Ralph Lauren 2184 5284 55 17"